Looking to remodel a kitchen or bathroom? Or add a new addition to ones home? If you have been concerned that the cost of a custom tile installation for your Columbia SC home will be too much, you may be pleasantly surprised. 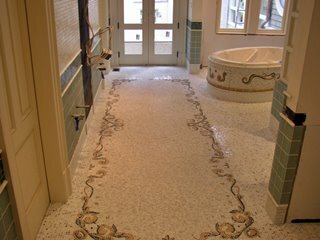 Artistic Tile’s services can work within most any budget and project size. We are Columbia South Carolina’s leading custom tile installers. 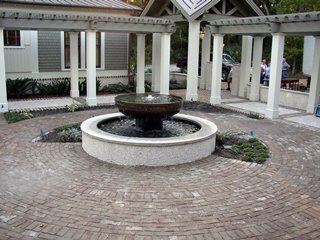 We look forward to speaking with you about any type of tile installation you are planning on having done, from bathrooms, kitchens, fireplaces, interior floors, exterior walkways and patios, outdoor grills, and even pools. 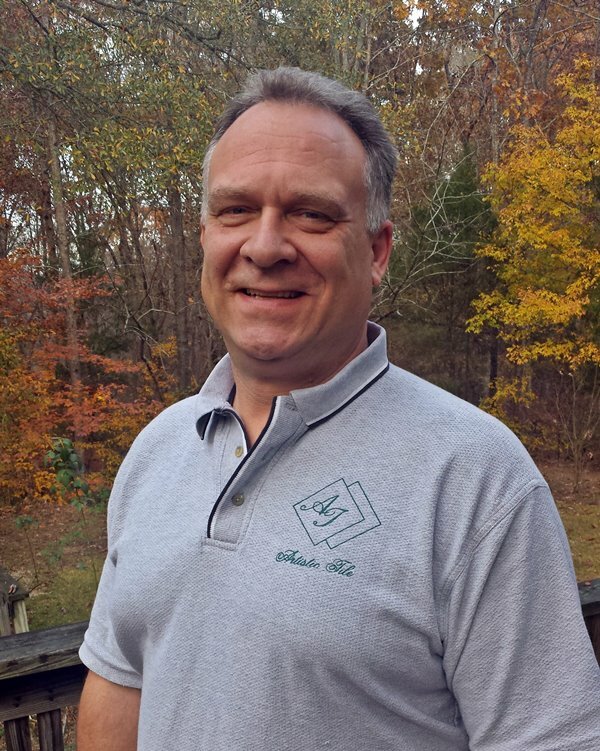 Owner Heyward Thomas has over 20 years of experience as a custom tile installer here in Columbia South Carolina, and proudly calls this his home. We only use the best materials from ceramic tile, porcelain tiles, glass tiles, marble and stone. Give us a call and see why we have proudly earned the reputation of being easy to work with, of having high standards, and of giving each customer a completed remodel or new Columbia tile installation of their dreams! 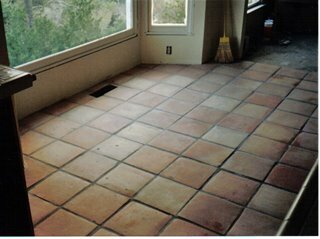 We are a licensed, insured, and bonded tile contractor able to construct the project of your dreams! Learn more about Artistic Tile here and read through our tile planning and advice articles in our blog. 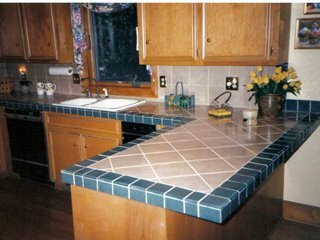 Countertops set in tile set diagonally with border. 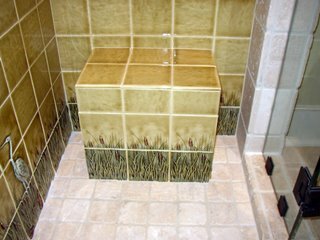 Shower seat and surrounding shower with hand painted tiles. 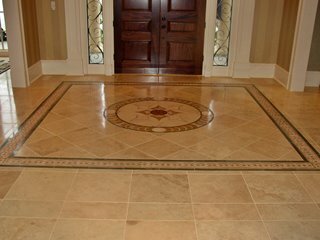 Medallion set in travertine with stone border. 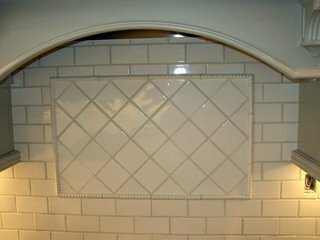 Back splash picture framed with a rope border set in ceramic tile. 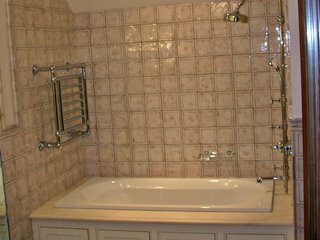 Tub enclosure set with hand made tiles & travertine tub deck. 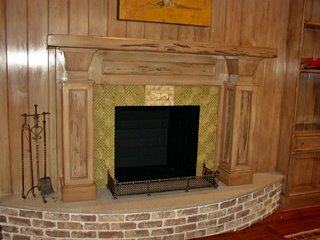 Fireplace set with handmade tiles. 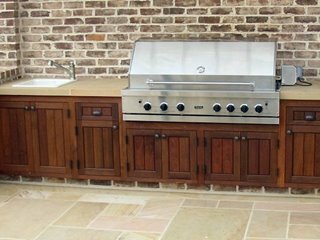 Outdoor grill stone countertop and crab orchard deck. 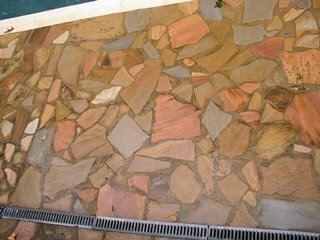 Outdoor deck set in irregular shaped crab orchard stone. 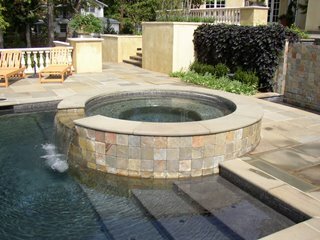 Outdoor spa & waterfall set in stone. Have Any Questions for Columbia’s Leading Tile Contractor? Drop us an email below or give us a call. 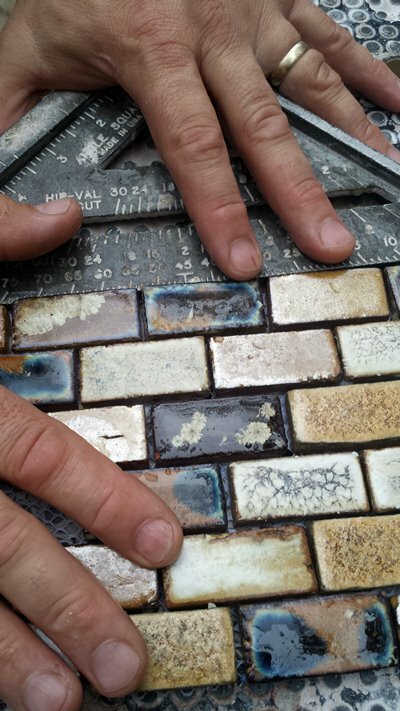 We love assisting customers with their tile installation questions, for we want to ensure every homeowner has the kitchen, bathroom, and outdoor living space of their dreams!